I have just got a new puppy – can I sign up to Generation Pup? Absolutely! We would be really grateful to have your help with the project. 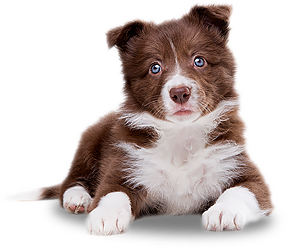 Your puppy just needs to be 16 weeks of age or under, and we are only registering owners living in the UK or Republic of Ireland. When you register, you will see a number of different options which will help you decide how much involvement you would like in the project. For the ‘basic level’ of involvement we will ask you to complete questionnaires regularly for us throughout the life of your dog. However, we would be really grateful if you would consider also collecting samples (such as mouth swabs or urine) from your puppy, allowing us to access their veterinary records for your dog and / or agree to help with other aspects of the study. More detail about the different levels of involvement is provided in (4) below, and remember you are able to stop your involvement with the study at any time should you wish. Why is it important to sign up with Generation Pup? Dogs play an important role in our families, and are irreplaceable in our hearts and lives. It is devastating when they are injured, suffer from disease or have behaviour problems which impact on their wellbeing. Research is essential to better understand how and why these problems develop, so we can look for ways to prevent and treat them. ‘Generation Pup’ is a unique type of research project – known as a cohort study – where lots of individual dogs are followed over their lifetime. This has some big advantages over other approaches, as it enables us to investigate whether events or environments early in life influence the development of conditions as dogs get older. The results of the study may suggest preventative measures that can be put in place, or lead to new approaches for therapy or treatment. However, for this type of research to be successful we need lots of help from dog owners. We need owners to regularly update us on various aspects of their puppy’s life, behaviour and experiences, so that we can look for common trends or themes which occur between dogs. So please help – become part of the ‘Generation Pup’ community, and contribute to the development of an exciting new dog science initiative! What will I have to do if I register my puppy? We ask all owners registered with Generation Pup to complete questionnaires about their puppy. When you register, we will ask you to fill in questionnaires about yourself, your household, and your new puppy. Following this you will be asked to fill in a questionnaire 1 week after bringing your puppy home, then again when your puppy is 12 weeks, 16 weeks, and then 5, 6, 7, 9, 12, 15, 18 and 24 months of age. The questionnaires are more frequent early in your puppy’s life because things change rapidly as your puppy grows up, and lots of new things are happening. When your puppy reaches 24 months of age, we ask you to complete questionnaires at a maximum of every six months. It is easier for you if you can complete questionnaires online because only those questions relevant to you and your puppy will be asked. However, if this is a problem, we are happy to post paper copies of the questionnaires to you. Each questionnaire will take between 20 and 30 minutes to complete, and you can always ‘save and come back later’ if you are short of time. What consent and permission do I need to give? When you register with ‘Generation Pup’ you will be asked to complete an ‘informed consent’ form. This asks you for your permission for the research team to store the data that you provide and use it for future research analysis. All the information that you provide about yourself and your puppy for the ‘Generation Pup’ research project will be treated in the strictest confidence. Any sensitive information, including names and addresses will be stored in an encrypted form, and data used for analysis will always be completely anonymous. When you sign up, we will also ask you if you might be interested in helping us to promote the study through the media. We would be very grateful if you could tick this option if you are willing for us to contact you about your puppy potentially becoming a ‘media star’. We understand that this is not for everyone, so this is entirely optional. We will also ask you to give us permission to access the veterinary records for your dog. Access to veterinary records is an important part of the study, as it will allow us to investigate how often commonly occurring diseases are diagnosed by vets. 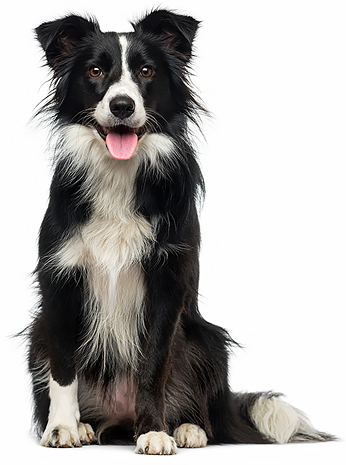 For example, we can look at whether particular dog ‘life-styles’ are associated with the development of problems such as bowel disease, arthritis or diabetes. Again, this is entirely optional, and we will respect your wishes should you prefer us not to access these records. Finally, we will ask if you might be interested in taking part in further studies linked to Generation Pup. This might be, for example, studies where we ask you to film aspects of your dog’s behaviour, or have a researcher call you to ask additional questions. If you have time and are interested in helping us further then please let us know: we are very grateful for any help that you can give us to make ‘Generation Pup’ a success. Will I have to take samples from my pup? Owners will also be asked if they are willing to help the research project by collecting samples at various time points in the study. The samples are all non-invasive and simple to collect. Samples of hair brushings, urine (wee), faeces (poo), skin swabs and/or cheek cell swabs will help the team investigate a wide range of important diseases which impact on the wellbeing of dogs and the genetic influences on both disease and behaviour. Owners who are willing to help with this part of the project will be sent out sample packs with full instructions on how to take each type of sample and video tutorials will also be available on the website. When you register for the study, you will have the option to opt ‘in’ or ‘out’ of sample collection. Will the information I submit for research be safe? The Generation Pup team takes the protection of your information very seriously. Although we need your contact details to be able to follow your dog through life, these will be held securely and not made available to anyone outside of the immediate study team. Once you have completed a questionnaire, it will be separated from any information which identifies you and stored completely anonymously. This means that you will not be identifiable during any analysis of the information, nor in any outputs from the research, such as research publications or newsletters. If you have any questions about the safety of your information, then please contact the Generation Pup team on generationpup@dogstrust.org.uk. How long will the information I submit be stored for? The Generation Pup team will only store your data and any samples you provide, for the duration of the research needs of the Generation Pup study, or until you request that your data and/or samples are no longer retained. I have a cross-breed puppy – does that matter? We welcome any puppy, cross-breed or pedigree of 16 weeks or under from anywhere in the UK and Republic of Ireland onto the study. So, yes please, we would love to hear about your cross-breed puppy! My puppy came through quarantine – can I take part? Absolutely! It would be great to have your help with the project. Puppies that have been through quarantine can be registered up to 21 weeks of age. Any breed or cross breed of puppy is eligible to take part, but please note that we are only registering owners living in the UK or Republic of Ireland. My puppy is over 16 weeks of age - can I take part? Unfortunately, we are only recruiting puppies that are 16 weeks of age or less – this is because we are interested in looking at how early life experiences and environments may impact on later behaviour. The one exception to this, is that puppies who have been through quarantine can be registered up to 21 weeks of age. If your dog is too old to be registered, we would still be grateful for your help in ‘spreading the word’. By mentioning the project on social media, or telling your friends about ‘Generation Pup’ you can help us enormously to reach our goal of 10,000 registered puppies! You can also sign up to receive the newsletter and project updates to keep up to date with how the project is progressing. I live in the Republic of Ireland – can I sign up to Generation Pup? Absolutely! We would be really grateful to have your help with the project. Your puppy just needs to be under 16 weeks of age at the time of registration. You can help us by completing questionnaires regularly throughout the life of your dog. If you would like to contribute more to Generation Pup, we would be really grateful if you would consider allowing us access to your dog’s veterinary records. Unfortunately, we are not sending out sampling kits to owners living in the Republic of Ireland, as returning samples from the Republic of Ireland is difficult due to current postal restrictions. Please find more detail about different levels of involvement in the study in other FAQs. Can I register more than one puppy on your study? Yes – you can either register two or more puppies at the same time, or at different times, eg if you have a puppy now and then get another puppy in two years’ time both can be registered. You will be asked to complete separate questionnaires for each puppy. Are there any benefits for me in signing up to Generation Pup? We are hoping that participants of the study will enjoy being part of the Generation Pup community. We have a project web-site which we will update with information about the study regularly, provide regular newsletters to participants, have a profile across different social media (e.g. Facebook and Twitter) and mainstream media, and run regular competitions such as ’Puppy of the Month’ and prize draws for the star questionnaire completers! We will also feedback to participants the outcomes of the study, and run ‘open days’ to meet some of you and tell you more about the study. We also have some fantastic Generation Pup branded goodies for participants, courtesy of our friends at Dogs Trust! We are very grateful for any help you give us with the study. If you are aged 16 years or more, live in the UK or Republic of Ireland and have a puppy aged 16 weeks or less at the time of registering, we would be really grateful if you sign up to take part. You can also be involved by helping to ‘spread the word’: we need as many puppies as possible registered to ensure that the project is a success, so by spreading the news on facebook or twitter, telling your friends, encouraging your vet to have flyers in their waiting room you will be helping us to make Generation Pup a once in a lifetime study which will have massive benefits for all of dogdom! I would like to withdraw my consent for some or all of the elements of participation in the Generation Pup study; how can I do this? I would like to remove my dog from the study; how can I do this? If you no longer have your dog or wish to leave the study at any time, you may do so without prejudice. The easiest way to remove a dog from the study, is to log in to your dashboard, and in the section about your dog, click “remove dog”. Alternatively, you can contact the study team via email or phone (all details can be found under the “Contact Us” tab). It would also be helpful if you could please download, print and fill in this form. I am worried about my dog's health, can Generation Pup help? Unfortunately we are unable to provide help or advice about individual dogs. If you have any worries or concerns about your pet's health, please contact your vet. I am worried about my dog's behaviour, can Generation Pup help?